Some ringers on here. Must be hard work for the landlord thinking up all those different usernames. I was amazed at the progress this bar has made in just a short while. The staff and management make you feel right at home and are very welcoming. 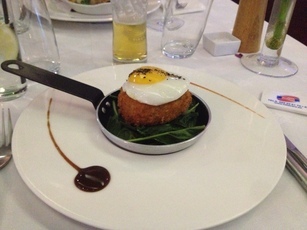 The food offering is on a par with any decent gastro pub north of the river. The fit out is pretty amazing, an incredible turn around from the magnolia covered walls of old. My family and I went there for the football last saturday and the atmosphere of old is still there, thankfully, but the fine dining offering in the back area allowed the family to relax and eat before we went to the stadium. Well worth a visit if you enjoy a nice cold one in good surroundings. I had a wonderful lunch there on Saturday 17th August which was the opening day of the football season and the atmosphere was vibrant and the food excellent. I later found out that the head chef has spent time with some of the most renowned three star Michelin chefs this country has seen and that he spent a good 7 or 8 years perfectling his trade in a private members club, no surprise there as to why this match day menu works perfectly! The timing on the service was faultless and the waiting staff excellent, they are efficient, know to ask the right questions when taking the order and work well as a team. The food exited the kitchen in a timely manner and it felt like the perfect short pause between placing the orders, receiving the drinks and then the starter and then between the starter and main course, this was brilliant coordination between the kitchen and the front of house and credit is due to the manager for getting this right. The place is brilliant, I can't see a rival to it anywhere in the area. 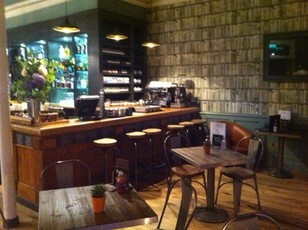 The fit out is excellent and it works perfectly as a restaurant and a pub. It's the perfect local gastro pub. 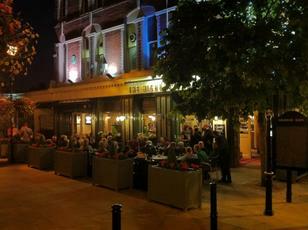 The pub is one of a few competing for upmarket trade in Highbury, but it performs very badly indeed. The manager, a guy called Tony managed to get into no less than two fights with two separate parties of customers during the evening I went. An odd looking fellow, the manager interacts awkwardly with his customers and a little disturbingly with his female staff. 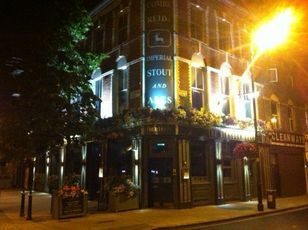 The owners bought the pub from Punch a few years ago and have done their best, but their best is not enough and an expensive pint does not a Gastropub make. I have lived in the area for many years and prefer the pubs in Highbury Corner to this poor excuse for a local. 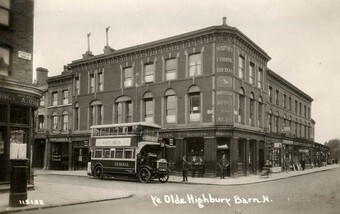 Locals are supposed to have locals in it, that's why they're called locals, but the manager of the Highbury Barn has done all he can to rid the place of locals, preferring punters out for a night wanting to eat food. He can also rely on the football match day trade which will come whatever the service. The outcome is a pub without personality. What are the good points? It’s generally clean and tidy and a new makeover gives a fresh feel to what was a stale décor. 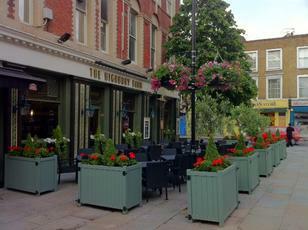 The outside seating is perfect in summer, but obviously not good in winter and the owners are too tight to turn the heating on when it’s cold. In winter you’ll see everyone sitting round wearing coats. Hardly the cosy atmosphere of a home from home. The ales are badly stored and the lagers too warm to want, but a drink is what you’ll need if you end up here. 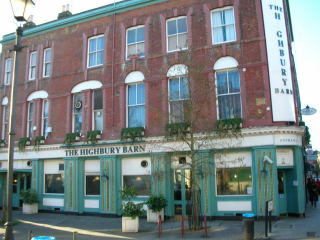 In many respects the Highbury barn lives up to its intention, to serve food and avoid being a pub in the true sense. In a location like Highbury, with a huge selection of quality restaurants on Upper Street the food needs to be fantastic, but it’s just average. Where does the Barn go from here, it’s not a pub and not a restaurant. A change of manager with an ability to get on with people would be a welcome start. I happened to go to this pub a month ago for an old work's reunion that had been organised there and I have to say what a great time I had!! It was a Friday evening and when I got there at about 7.30 there was already a bit of a buzzing atmosphere going on and a nice little crowd in there (apart from my old work colleagues). The manager had kindly reserved an area for us near the end bar at the front of the pub so that people who were walking in and trying to find us all could find us easily. The bar staff were excellent and I never had to wait at the bar (like some pubs you go to trying to get served). There was a good quality selection of beers on tap and bottle, the Savignon Blanc is perfection and then when the buffet came out at 9 that had been arranged for us - well we were, staggered by the generous amount and lovely quality of finger foods, canopes, sandwiches etc. Vegetarians amongst my group weren't left out either. All in all, a lovely evening was had - my friends all said they'd definitely put the Highbury Barn on their pub radar from now on too! !